for $125,000,000 with 6 bedrooms and 7 full baths, 1 half bath. This home is 13,693 square feet. One of the greatest oceanfront bluff estates in the World. 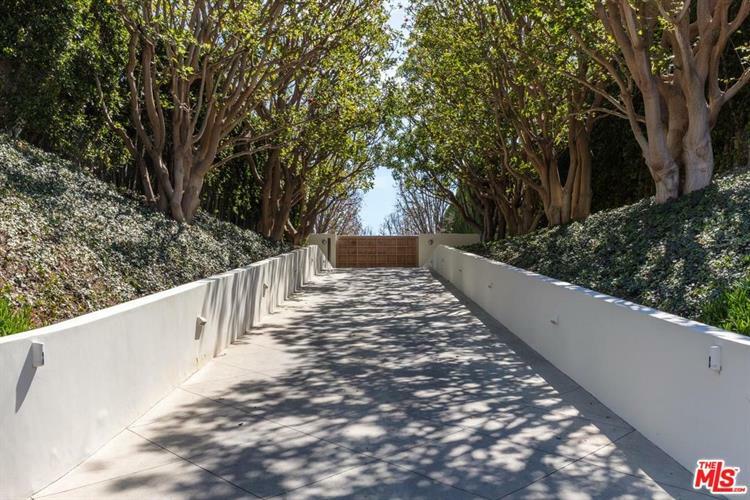 Situated on over 3 park-like acres in the most exclusive area in Malibu with a private pathway to one of the most beautiful beaches anywhere. Featuring a stunning contemporary home with high ceilings and walls of glass, designed by Charles Gwathmey. There is a spectacular living/great room overlooking shimmering ocean views, gorgeous lawns and large swimming pool. Incredible master suite with two-story paneled library and gallery, open gourmet kitchen/family room, professional state-of-the-art theater, gym, home office, beautiful guest/family suites and much more. Additional amenities include two guest houses, a championship N/S tennis court, spa house, and total privacy and seclusion. The information being provided by CARETS is for the visitor's personal, noncommercial use and may not be used for any purpose other than to identify prospective properties visitor may be interested in purchasing. The data contained herein is copyrighted by CARETS, CLAW, CRISNet MLS, i-Tech MLS, PSRMLS and/or VCRDS and is protected by all applicable copyright laws. Any dissemination of this information is in violation of copyright laws and is strictly prohibited. Any property information referenced on this web site comes from the Internet Data Exchange (IDX) program of CARETS. This web site may reference real estate listing(s) held by a brokerage firm other than the broker and/or agent who owns this web site. The accuracy of all information, regardless of source, is deemed reliable but not guaranteed and should be personally verified through personal inspection by and/or with the appropriate professionals.